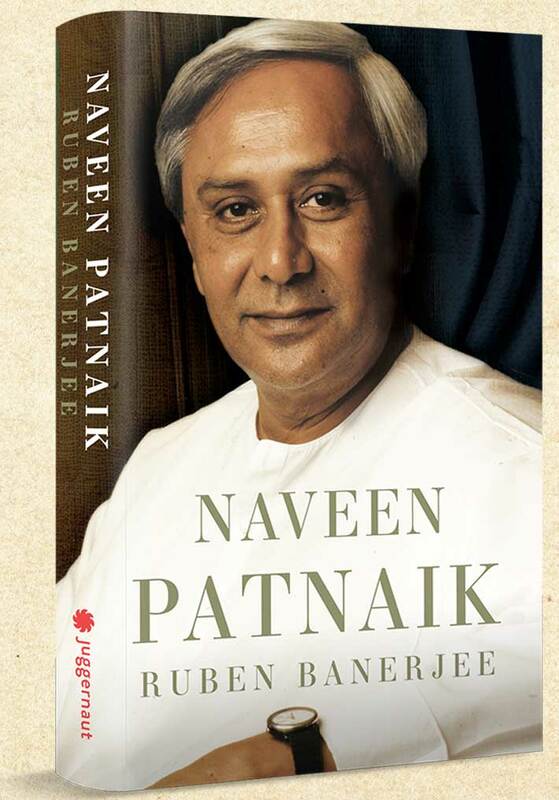 Bhubaneswar: Juggernaut Books is delighted to announce the release of Naveen Patnaik, the first political biography of one of India’s most popular Chief Ministers, written by veteran journalist Ruben Banerjee. Who really is Naveen Patnaik? In this book, Ruben Banerjee lifts the veil from the mysterious politician of Odisha. From being Biju Patnaik’s socialite son who entered politics after fifty to his record of winning every election he has ever contested — the book covers Naveen’s life in politics and decodes the formula of his success. With the 2019 elections around the corner and speculation high on whether the Modi wave will prevail again, Naveen is likely to play a crucial role in national politics in the days ahead, making the book very crucial. In 1997 when the beloved Odia politician Biju Patnaik died, his son Naveen Patnaik stepped forward to contest the by-election to Biju’s Lok Sabha seat. Then fifty-one years old, Naveen, who once ran a boutique in Delhi, had never contested an election or held public office. He spoke no Odia and was more at home in Lutyens’ Delhi than in the dirt-poor villages of Odisha. Partymen saw Naveen only as a magnet for attracting voters sympathetic to Biju, not as a genuine politician or leader. But Naveen proved his sceptics totally wrong. He wrested absolute control of the party and won every election he contested. He has been elected to the Lok Sabha three times, and as chief minister of Odisha four times. Even the Narendra Modi wave of 2014 didn’t make a dent on Naveen’s numbers. But beyond electoral and party politics, Naveen has an abiding connect with his voters. His development and administrative records are exemplary. For instance, in 1999 when a cyclone hit Odisha, it left 10,000 dead. But under Naveen’s watch when a similar cyclone hit Odisha in 2013, an efficient state machinery ensured that only twenty-one lives were lost. In this book, the veteran journalist Ruben Banerjee, who has followed Naveen since his early days, decodes the success of the enigmatic politician who stays in the shadows and rarely gives interviews. This is the thrilling story of an unlikely and seemingly unbeatable politician who may well hold the keys to power in the 2019 general elections. Having been elected a Member of Parliament, Naveen arrived in Aska, wide-eyed. Though just an hour’s drive from the commercial town of Berhampur, known for its unkempt and crowded roads, Aska was primarily rural, where most people were poor and open defecation was rampant. It fell in the district of Ganjam, notorious for what was locally known as the ‘Ganjam salute’, wherein hundreds of men and women lining the roads to defecate at night would stand up, to preserve their modesty, the moment the headlights of speeding vehicles fell on them and sit down again when they passed, in seemingly unending waves. Aska was close to the tranquil sea resort of Gopalpur, but it epitomized the underdevelopment and poverty that have historically plagued Odisha. Naveen, too, was aghast and possibly held his nose at times as he negotiated Aska’s serpentine roads, lined with filth and human excreta. But he was also impressed with what Aska had to offer in spite of its collective misery. For one, the region was famous for the hordes of blackbucks that roamed freely by the side of the roads and in the courtyards of houses. Naveen was smitten by their beauty but also horrified to learn that the animals were routinely killed by speeding vehicles and sometimes poached. So one of the first things he did as MP was to paint a picture of the gentle creature himself. He got some thousand prints of the painting framed with the message ‘Save the Blackbucks’ scrolled across. He gave these prints to schools for distribution among the students as a gift from the newly elected MP. 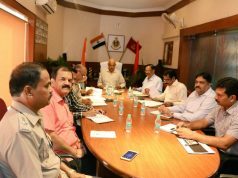 The new chief minister, personal staff said, had set habits. He would start the day with a glass of orange juice, a few slices of watermelon or papaya and a cup of coffee. Then he would get busy meeting those who came into his dining room, lighting up one cigarette after another. When he left for the state secretariat around 11 a.m., he would have a glass of coconut water. He would return home for a very light lunch, mostly khichdi and a bowl of curd or simply bread and soup, and head back to the office. Returning home past dusk, he would settle down for a drink of Famous Grouse whisky after 9 p.m., though Article V (B2) of the 37-page BJD party constitution stipulated that ‘party members should abstain from alcoholic drinks and drugs’. Dinner was the time when Naveen would indulge himself, with his only proper meal of the day. Red-hot Thai chicken curry was said to be one of his favourites. A widow in Dasmantpur of Koraput district was equally grateful. Th e chief minister was visiting the southern district when the lady fell at his feet. A mother of two, she was pregnant with a third child, but her husband, a trucker, had died in a road accident two months earlier. The lady sobbed, seeking help, and Naveen was shaken. He got into the car to be driven to the helipad from where he would fly to another district, but kept repeating aloud, ‘She is pregnant, has two children, her husband is dead. What will she do?’ Officials in attendance attempted to reassure him that the lady would receive help from the district administration, but Naveen kept repeating, ‘Pregnant, two children, dead husband. What will she do?’ The senior most bureaucrat accompanying the chief minister got the message. He called the collector and ordered that help should be provided straight away. An hour later, when Naveen disembarked from the helicopter he again asked the officials what the lady would do, and they told him the collector had already given her a widow pension, allotted her a house under the Indira Awaas Yojana and given her a job at the local anganwadi centre. Only then did the chief minister seem to relax. ‘Naveen wins big because he is primarily a minimalist,’ said a top bureaucrat who had in the past been a close associate of the chief minister. Ever since he first campaigned to be elected as the MP from Aska, hiding his lit cigarette from the people, Naveen has been mindful of his image. Unlike the other average politicians of Odisha, synonymous with pompousness and hubris, Naveen is low-key and shy. He came without any baggage and has till now not collected any. He uprooted himself from his cocktail circuit and came to live in Bhubaneswar, without family or friends. In the initial years, he had two acquaintances to share a drink with at Naveen Niwas – A.U. Singh Deo and Jay Panda. But despite being the most powerful person in the state, his social circle has only shrunk. Today Naveen determines the destiny of 4.5 crore Odias, but he drinks whisky alone at home, having fallen out with both Singh Deo and Panda. He failed to make any new friends in the intervening years. He generally keeps to himself and his spartan lifestyle – kurta-pyjama and chappals without any ostentatious outward sign – has left no room for accusations to be levelled at him. That he has no family or friends hanging about has immensely helped Naveen bolster his image as incorruptible. From time to time, his ministerial colleagues and party legislators get embroiled in controversies. They regularly face accusations of making money or helping cronies make money. But Naveen is generally spared such accusations. ‘Why would he be corrupt? He is all alone and has no reason to be corrupt,’ pointed out Anjali Behera, a housewife in the coastal town of Kendrapara. Such sentiments are commonly held, both in the state’s urban centres and in its rural heartland. ‘Naveen Babu is not corrupt though his men may be corrupt,’ insisted Trilochan Bhoi, a part-time teacher in the tribal district of Keonjhar. Th at Naveen is personally honest is a widely held belief that has survived the test of time. Even political rivals concede that accusations of corruption at a personal level will not stick or tarnish the chief minister. Rabi Das, a political commentator, is not a fan of Naveen, but acknowledged that the chief minister’s own integrity has never been in doubt. ‘Why would he need to be dishonest? He has no reasons to be,’ explained Das. Prasad Harichandan was the Odisha Congress president from 2014 to early 2018. Even he confessed that targeting Naveen over graft was a difficult task. ‘He is still seen to be honest. 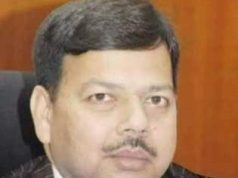 You may call it our failure,’ Harichandan admitted.